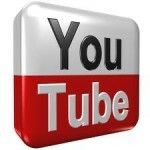 Youtube.com is the #3 ranked website in the World. YouTube receives more than 300 million unique visitors a month. Why not take advantage of this massive traffic?�BestMediaSolution was developed to help increase your popularity on the internet. We cater to the demands of directors, musicians, comedians, gurus, and everyday people wanting to achieve massive exposure on YouTube as quickly as possible. It doesn�t matter what kind of business you have, or the type of video you wish to promote � because our services work for ALL kinds of videos. When it comes to YouTube Video Promotion, you�re in the perfect place! Our services have everything you need. Below are a few packages we offer.